Available for Holley, Quadrajet, Edelbrock, Carter, and Demon carbs, these fittings add a professional touch to complete a fuel system. Machined from aircraft-quality aluminum and anodized or nickel-plated to resist corrosion. 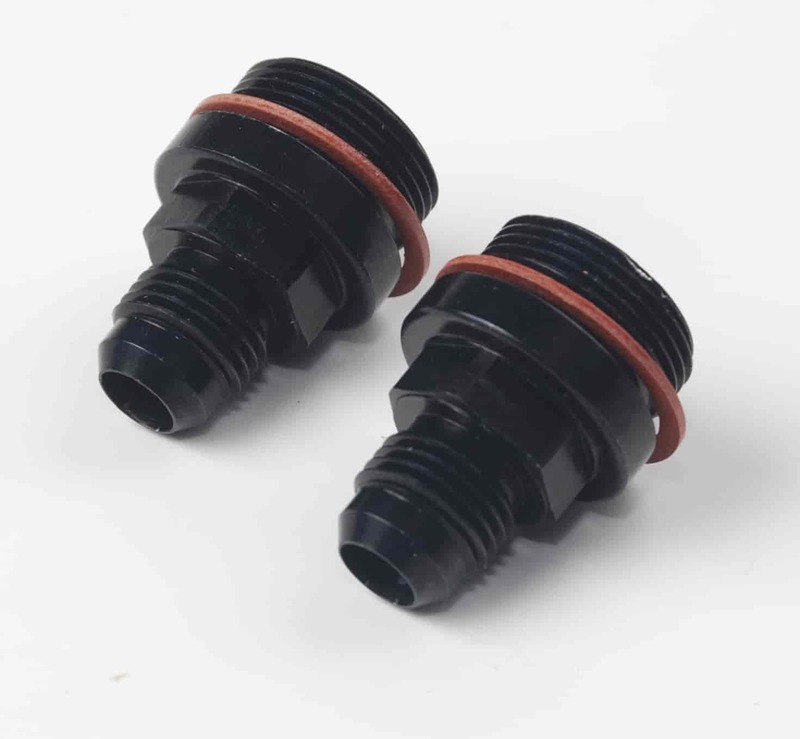 Each leak-free fitting includes a washer or O-ring. 110500 is rated 4.0 out of 5 by 2. Rated 5 out of 5 by jrmboat from Nice fitting. They are just as pictured but it would be nice if you could use the internal filter that is in a quadrajet. Rated 3 out of 5 by Matt74 from Decent, but NOT made in USA I like the features of this fitting, mainly the reduced size hex so it's possible to get a wrench on it when tightening and loosening lines. Seems to fit as well in my float bowl as the Holley fitting that came out of it. I try to support American jobs and industry when possible and was happy to see in the description that it's made in the US. However, the packaging says it's made in China.